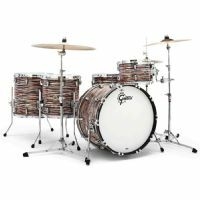 Brooklyn, New York and Gretsch Drums share an inseparable legacy that is reflected in the Gretsch Brooklyn Series. 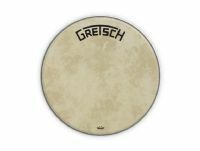 Gretsch Brooklyn produces a sound that is immediately recognizable. 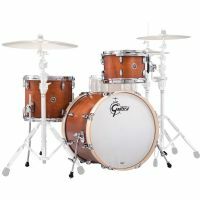 The Gretsch Catalina Maple series includes new innovative and sleek hardware designs. Each component is designed for functionality, performance and style. 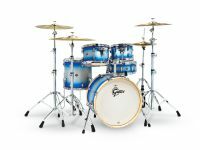 Gretsch drums were born in Brooklyn, New York in 1883. They were proudly crafted in the vibrant city for the better part of the 20th Century. 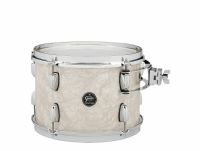 3PC 8x12 14x14 & 14x20. 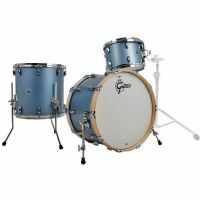 The Brooklyn Series from Gretsch is inspired by the companies long standing legacy with Brooklyn, New York, where their factory was located for almost 90 years. 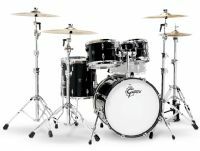 The newly designed 2016 Gretsch Renown is one of the most versatile drum sets ever made. 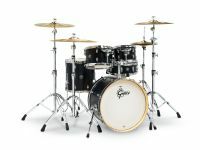 Now, with one drum set, you can play with the sensitivity and touch to handle the smoothest grooves of the 1950s. 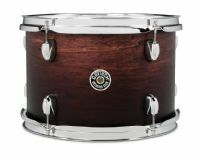 24" Broadkaster Logo Fiberskyn Bass Drum Head. This head has no internal muffling ring.